Updated Thursday February 14, 2019 by PWSC. PWSC has teamed up with Shep Messing––former goalkeeper for the US National Team and member of New York Cosmos professional soccer team––to bring our seasonal intramural programs to the next level for boys and girls aged 4-8 years old. Shep Messing Soccer will be a great partner with the JIGS Soccer Academy trainers - from helping design the structure of the program to providing soccer tips to players on game day! What are the details of the program? 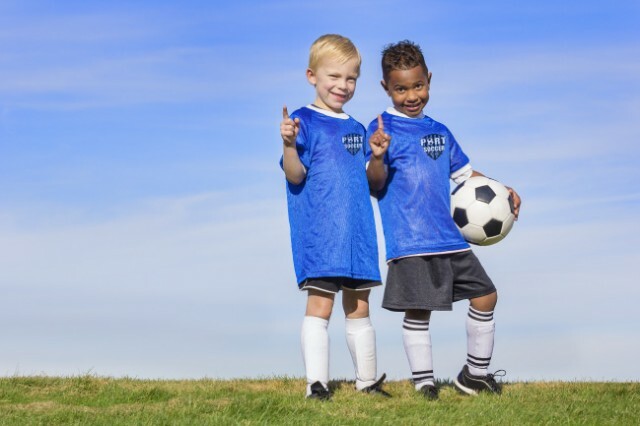 Little Kickers: Our entry program for 4 and 5-year old players is designed to introduce players to soccer and teach them to enjoy the game through fun drills and small-sided games. There is a 1-hour Saturday session including instruction and games for this age group. Prime (U6-U9): After players complete the Little Kickers program they move up to play Prime. This program will build on the skills players acquired from LK and will provide players the opportunity to play in an in-house league games to apply their skills in a game setting. Prime consists of 1 training session during the week for 1 hour over 8 weeks with trainers from the JIGS Soccer Academy. Every Saturday will be a soccer festival! There will be an age group training in a designated training area while at the same time another age group is playing in-house league games. There will be a Tent manned by a Field Coordinator to make sure that players are moved throughout the day smoothly and can answer any questions you may have. On some weekends, we will bring in face-painters or other fun activities for the players to visit once their session ends. Why Choose the PWSC Intramural Program? PWSC has a long-standing commitment to the Port Washington community with a storied soccer tradition for over 40 years. We are currently 1200 players strong including ages 4-18 years old. We see the intramural program as the lifeblood of the club and take the growth of each player seriously while having fun at the same time. Players who participate in the Intramural program will graduate with a fundamental understanding of all four pillars of player development (technical, tactical, mental and physical), and will be well-prepared to continue their soccer experience in either our Inter-town or Travel programs.